The lymphatic system has an important role in health maintenance and is made up of nodes and vessels. The vessels transport, in the lymph fluid, products such as toxins, bacteria, dead cells, excess proteins, hormones and immunocompetent cells from the body. The healthy functioning of the lymphatic system can be hindered, or stopped, due to factors such as stress, chemical overload, age, lack of activity, or food additives. Lymphatic drainage (also known as Manual Lymphatic Therapy) is a form of gentle massage designed to encourage the natural drainage of the lymphatic system. Treatment varies with the condition being addressed, and there are a number of different techniques that can be used for optimum results. We’re often asked by patients, “what is lymphatic drainage massage?” Manual Lymphatic Therapy uses techniques which naturally stimulate the functioning of the lymphatic system. The treatment is administered by a lymphatic drainage specialist who uses hand manoeuvres which are gentle, specific and non-invasive. The modality is based on medical sciences. Commonly known as ‘lymphatic drainage’, this treatment can be beneficial in the correction of numerous conditions, as well as in preventive health maintenance. The appointment will be approximately 60 minutes and your practitioner will work with you to discuss a treatment plan and program that’s best for you. When you visit a lymphatic drainage specialist at Melbourne Natural Medicine, your initial appointment will last approximately 60 to 90 minutes. During this consultation, your therapist will discuss your medical history and any concerns you may have about lymph drainage therapy. The therapist will work with you to devise a treatment plan that’s best for your needs. 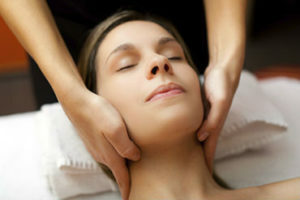 They may also explain the process of Manual Lymphatic Therapy and get started with the initial treatment. Lymphatic drainage treatment consultations at Melbourne Natural Medicine are always very thorough, and we make sure to treat every one of our patients with great care and respect. That’s because you‘re not just a patient to us, but a member of our family. Your Lymphatic Drainage specialist and our entire team will be there to support and encourage you as you work towards achieving your health and wellbeing goals. Preventive care.Lymph drainage can be used as a therapy to maintain a healthy immune system. Pre-surgical therapy (prepares the tissue for the surgical intervention, draining the tissues and cleansing the lymphatic pathways). Post-surgical (to address pain, swelling & scarring). Detoxification, chronic pain of numerous origins. Cleansing of major organs (i.e. liver, kidneys, lungs and bowel). Reduction of various soft tissue swelling (e.g. sports injuries). Relief of symptoms of chronic disorders (i.e. chronic fatigue syndrome, digestive issues). Why Come To Melbourne Natural Wellness? Whether you’re seeking lymphatic drainage in Melbourne or have other personal wellness goals you want to achieve, when you visit us at Melbourne Natural Medicine, we always provide the highest level of care in creating a treatment plan that’s entirely focused on your needs. We listen to you and help you find the approach that works best for you as an individual, whether it’s Myotherapy, Naturopathy, Osteopathy, Acupuncture, Lymphatic Massage, Reflexology, or a holistic approach that involves more than one form of treatment. We provide three levels of care at Melbourne Natural Medicine. Symptomatic Care aims to relieve the symptoms of the problem, Corrective Care is used to treat the root cause of the problem, and Wellness Care can help you extend your healthy lifestyle into the future. The services we offer are specifically designed to help restore wellness, boost energy and relieve stress, and we help more than 10,000 people every year to achieve and maintain their personal wellness goals. If you’d like more information about lymphatic drainage massage, or wish to discuss any of our services or possible treatment options, just fill out the online contact form or give us a call on (03) 9686 2566. We’re your sanctuary in the city and we’re here to help you discover your ultimate ‘wellness self’, so contact us soon at Melbourne Natural Medicine.